The holy grail of yeast strains with purported origins from a famed Vermont brewery, Barbarian gives you wonderful stone fruit esters and enhances hop character in beers. The complexity of this yeast is well suited for an array of hoppy beers, and it is most often used in the production of all kinds of IPAs, from session all the way up to imperial. The combination of peach and apricot esters works especially well with American citrus hops. It has medium flocculation characteristics and works much like a standard American strain, but produces a unique flavor profile. Use this yeast to brew a mean and spot-on Heady Topper clone! Flagship is the classic American ale strain. Neutral with medium flocculation and attenuation rates, this is a well-balanced yeast strain that can be used on a wide range of ales, from IPAs and pale ales to Russian Imperial Stouts. This strain can allow both hops and malts to come through. Due to the neutral nature of this strain, it is often used in American style pale ales and IPAs. With such versatility, it makes a great house strain! The perfect strain for traditional German weizens, hefeweizens, and other German-style wheat beers! 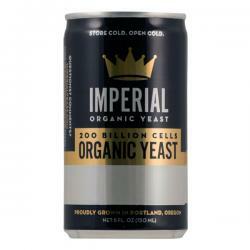 This strain of yeast is one of the most popular yeast strains worldwide for the production of these beers, and for good reason. This strain will produce big banana esters that are complemented by mild clove phenolics. Production of these compounds can be manipulated through fermentation temperature, with warmer temperatures producing more esters and lower temperatures allowing a greater clove phenolic character to come through. Underpitching can also allow the production of more banana esters. This is a low flocculating strain and is known to ferment very vigorously, so allow plenty of headspace or employ a blowoff assembly when using this strain for fermentation.A slight stronger acidity will be produced by this strain, which works perfectly in German wheat beers! Gnome is a great choice for Belgian beers. As opposed to many low-flocculating Belgian strains, this one flocculates well, creating crystal clear Belgian ales in a short amount of time. It tends to drop out of solution quickly after fermentation, clearing well. It produces peach and apricot esters with a Belgian phenolic character that can be manipulated through temperature. Good for use in hoppy Belgians, but Gnome can also be used to complement malt and caramel character in beers. Rustic is a great farmhouse strain of yeast that works well in saisons, as well as farmhouse ales and Belgian styles ales. It is known to produces a lot of fruity esters in beer. Flavor notes are described as "bubblegum" and "juicy," making it a great choice when high levels of esters are desired in the final product. These flavors are coupled with a slight spiciness and adicity. It can ferment at very warm temperatures, where the esters will really come out at shine! Described as being as funky as saccharomyces gets, Citrus is a very fruity strain of yeast that borders on Brett-like. It produces lemon and orange flavors, as well as tropical fruit notes. It is a low-flocculating strain of yeast that stays in suspension for awhile and typically attenuates well. Use Citrus in any beer style where fruit and citrus character are desired. Fermenting this strain at higher temperatures can lead to huge fruit esters in the finished beer!